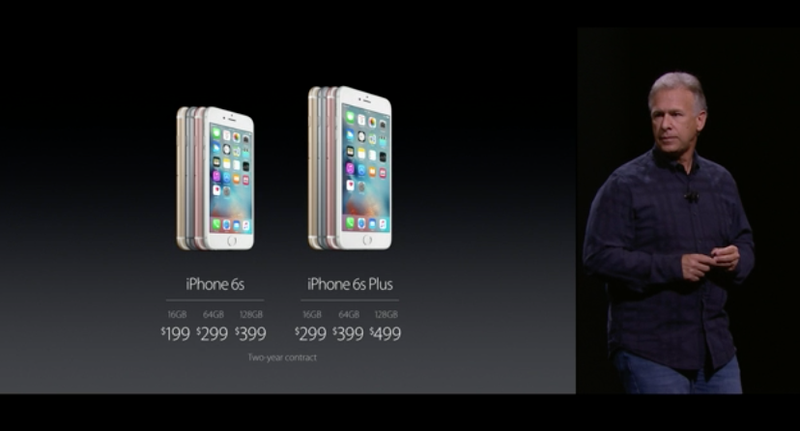 iPhone 6s and iPhone 6s Plus Start at $200 and $300. Available for Pre-Order September 12th. Today we got our look at the new iPhone 6s and iPhone 6s Plus. They’ll be available at exactly the same prices as last year’s models. Here’s the breakdown. First the two-year contract prices (then full price). The phones will available for pre-order on Saturday September 12th. They’ll be out in stores in two weeks on September 25th. Oh and don’t buy a 16 GB iPhone, you’ll regret it.